The YA Mythology Hop is underway. 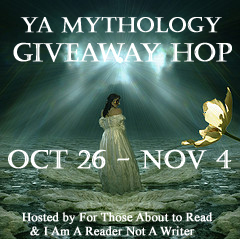 This hop is hosted by I Am A Reader Not A Writer and For Those About to Read and there are over 100 blogs offering something mythology-related and YA friendly. We are offering Existence by Abbi Glines and our giveaway is open Internationally. That is a cross between three books: Anne Rice's The Witching Hour, R.L. Stine's Red Rain, and Kendare Blake's Anna Dressed in Blood. This looks so good, and perfect for the season! Let's see, my favorite scary book is The Stand by Stephen King. The Experiment in Terror series. I'm not a big scary book fan so the closest to scary I can think of is The Historian. Heck, anything by Stephen King or Dean Koontz. I try not to read scary, because I am a wuss! But I love Abbi Glines. Thanks for the giveaway. Not a fan of anything scary, the scariest I've read is Wisteria by Bisi Leyton, it has zombies in it. The Stand by Stephen King is the first really scary book I can remember reading! I don't really have a favorite but the one that scared me the most was It by Stephen King! Necroscope by Brian Lumley. Thanks!! I don't have a favorite because I don't often read scary. I don't have a favorite svary book. I get to scared lol. I don't really have one, but maybe The Forest of Hands and Teeth. I love Existence!!! This is an awesome giveaway. Thanks for the chance to win!! I wouldn't say it is a favorite, but the last scary book I read that I really enjoyed was 'Before Cain Strikes". I dont usually read horror or scary books.. I don't ususally read scary books but I'm reading Two and Twenty Dark Tales and I actually had a nightmare about one of the stories in it. The Diviners by Libba Bray - I had nightmares. It was so flippin creepy. But totally awesome. 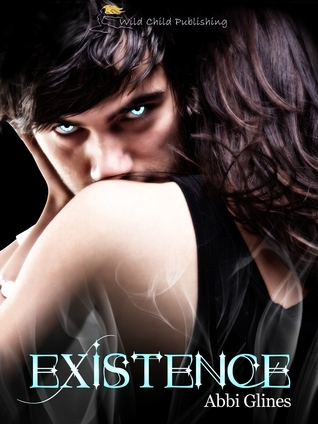 i dont read scary book,,but iam interest for reading Existence by Abbi Glines.. I don't really read scary stories! TY so much for Ebook giveaway. TBS doesn't ship to me, si I can hop only on Ebook giveaways. The Shining by Stephen King. It was the last real scary book I read, too. An old favorite scary book of mine is Needful Things by Stephen King.